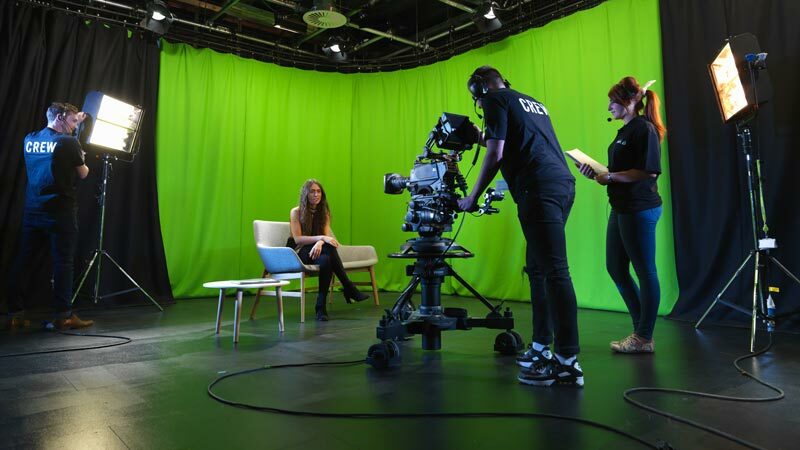 dock10, the UK's leading television facility, has announced the opening of its new studio HQ8. The 750 square foot television studio is suitable for small sets and has green screen capabilities. It comes fully lit and with complete integration into dock10's gallery and post production infrastructure. HQ8 is designed to meet the requirements of an ever growing number of customers that need affordable but professional studio hire by the day. This includes the increasing demand from creative agencies for filming products and interviews, as well as digital content creators who want to use professional facilities. HQ8 will also enable producers in dock10's main studios to simultaneously employ a smaller second studio for additional commentary, a behind-the-scenes view or a companion show. "Digital platforms like YouTube have fuelled an explosion of video content," says Andy Waters, Head of Studios at dock10. "As serious content creators strive to improve the quality of their output, HQ8 is providing them with the affordable, flexible and professional television facilities to make it happen. Our studios have an excellent reputation for enabling the creation of world-class programmes, and we're excited that HQ8 is making this same level of excellence accessible to an even wider range of new content creators." Let Pitch Battle commence at dock10!